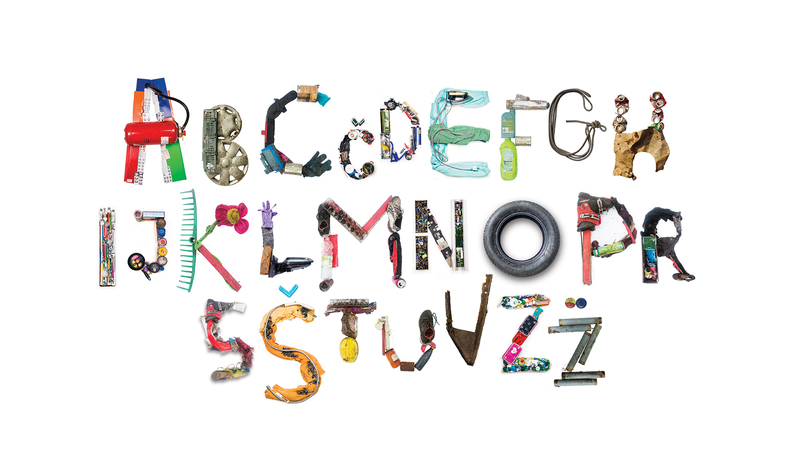 Futura DDB and Ecologist without borders together with volunteers created the actual typeface from a waste they have collected on a respectable event held this Saturday, 15th of September. The cleanest font in the world can now be used as a reminder that every piece of trash can be RECYCLED AND REUSED – even as art. It is also vectorized so anyone can leave or type a message in a font made from real garbage. The font includes all the letters of the Slovenian alphabet and was made by numerous volunteers from around the country when they finished with cleaning. It was made out of different sort of waste found in nature – from old cans, batteries, bottles, tires, helmets, jackets, furniture, etc. 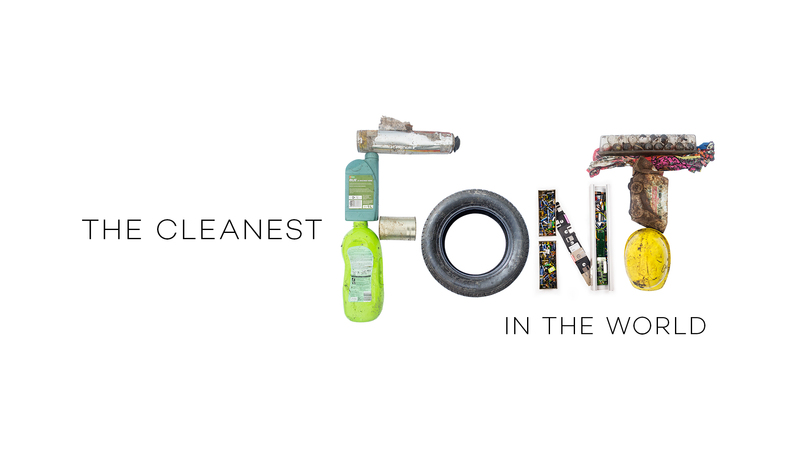 The result: the cleanest font in the world will be published online and free to use for any NGO or individual who would like to raise awareness on any kind of problematic environmental topic. Either in full colors, as it was made and photographed from garbage or in black and white vectorized form where the user can simply install it on a computer or preferred electronic device and start typing an ecological initiative or message. World cleanup day connected everyone in the world in an attempt to clean nature from trash left behind by the irresponsible ones. Slovenia wanted to go a step further and leave a special message to its residents and the whole world that would remind people that garbage doesn’t belong in the greens of nature. “We want to encourage people to learn and understand the importance of the right behavior towards nature and proper waste management. That´s why we were extremely happy that we were able to create something memorable from trash together with hundreds of volunteers collecting it. Now we can finally write and send a clean message to the world as there are more appropriate places for trash than nature” stated Urša Zgojznik, The Ecologist without borders president.